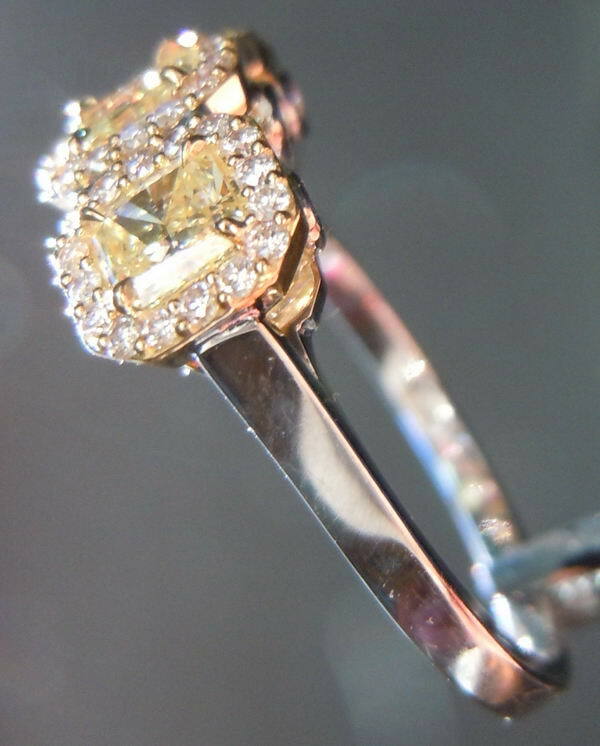 Here is a stunning three stone halo diamond ring. The three stones came from a sensational new parcel. 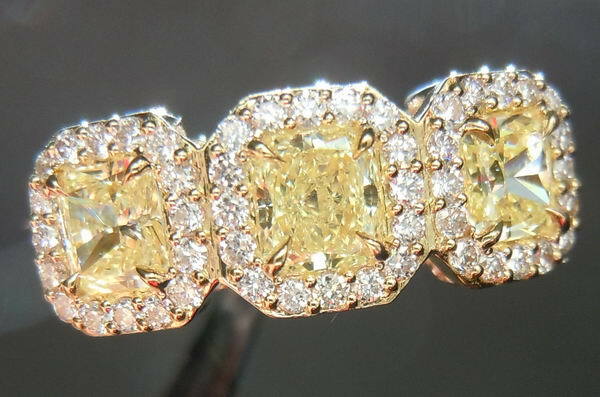 All are beautifully cut, and very clean stones and Fancy Light Yellow in color - give or take just a little. This ring is fantastic. 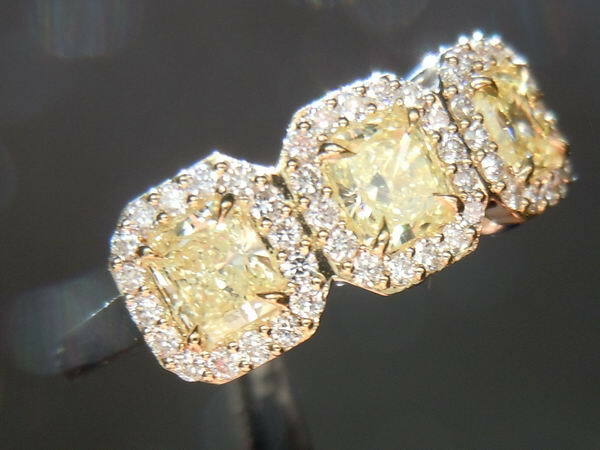 It marries the lovely three stone look with halos giving you a dazzling ring to wear! 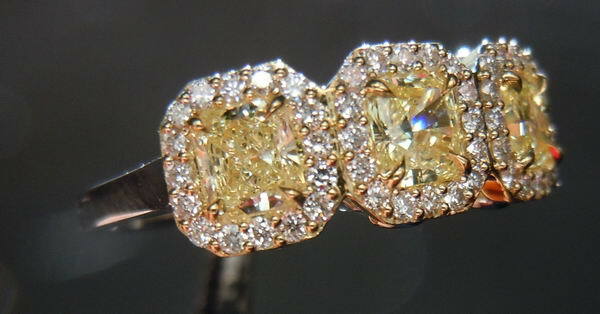 From the top you see wonderful yellow radiant diamonds surrounded by a halo created with colorless diamond. 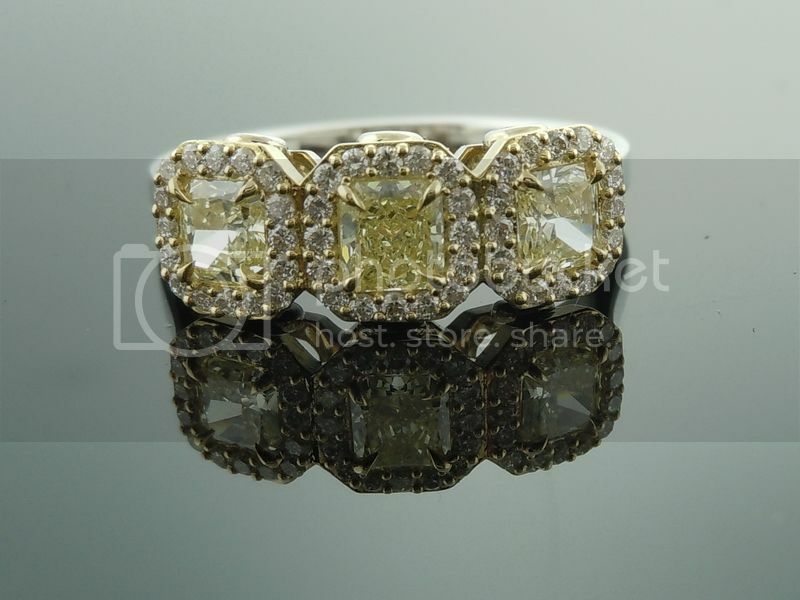 The yellow radiants are secured with gorgeous claw shaped prongs that look like a work of art. From the side, the ring is a work of art to see as well. 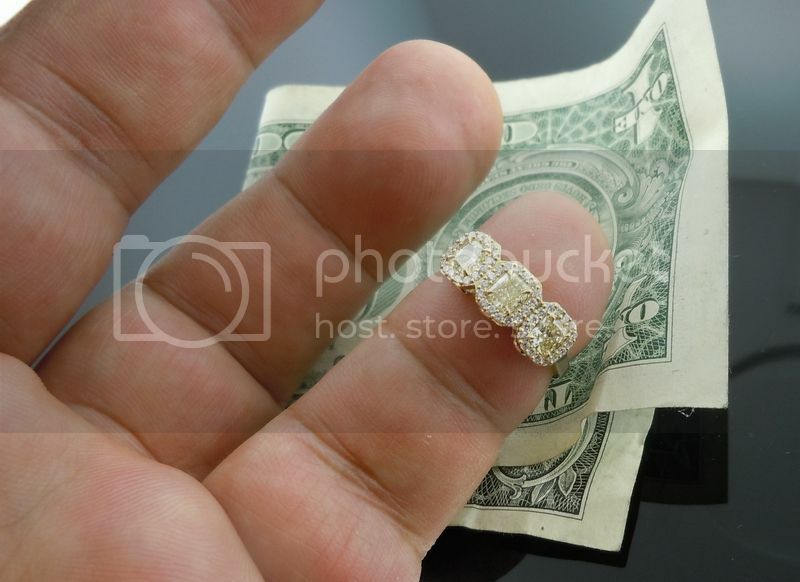 There are three bezel set "surprise" diamonds on each side. 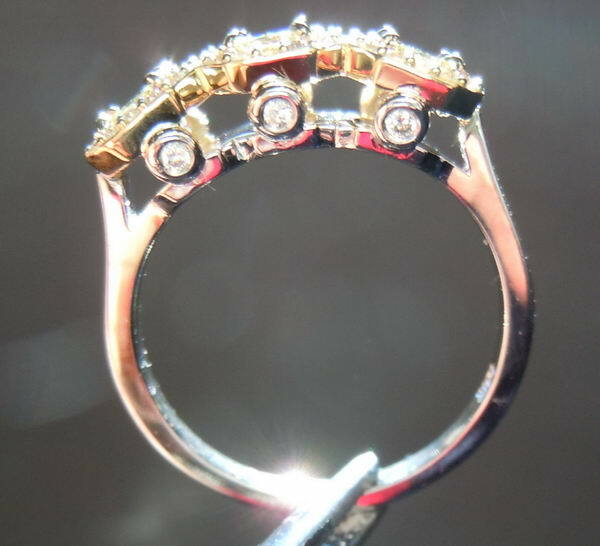 No matter what angle you look at, this ring is gorgeous. To add to this, this ring is wonderfully priced. 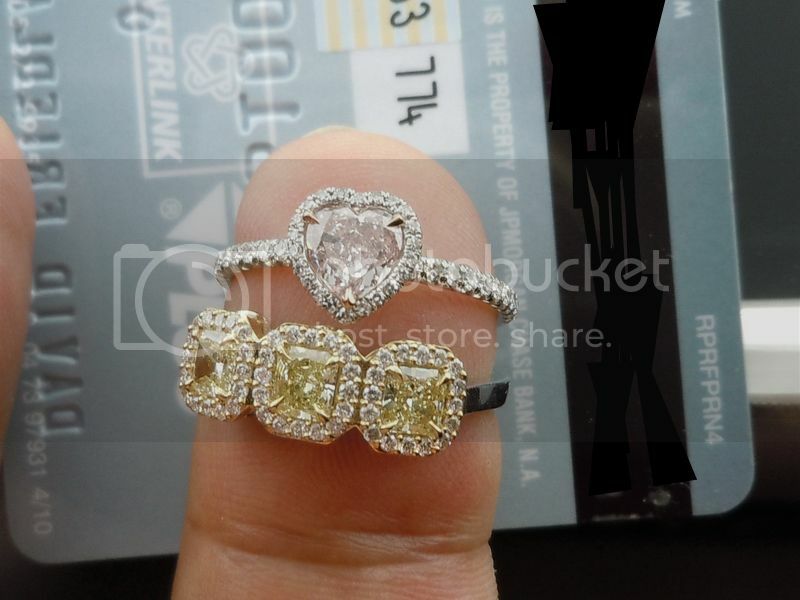 If you love these photos I know you will absolutely love this ring in person!